Dr. Stark is passionate about patient care. He has been practicing in the Montgomery county area since 1988. Take control of your health and contact one of our healthcare professionals today. A wide range of otolaryngology services to help you with conditions related to the Ear, Nose, Throat as well as Head and Neck. A comprehensive list of audiological and hearing related services for all ages including diagnostic and rehabilitation options. Our goal is to provide advanced and patient friendly ear, nose and throat care. Dr. Thomas Stark has provided state of the art adult and pediatric ENT patient care in the Montgomery area since 1988. We offer in office evaluation and treatment for disorders of the ears, nose, and throat, including allergies, thyroid, hearing loss, ear infections, sinus infections and vertigo. We have onsite testing and treatment for allergies. Dr. Teresa Schroder, Au.D., a board certified audiologist, provides comprehensive care of hearing, tinnitus and balance problems. 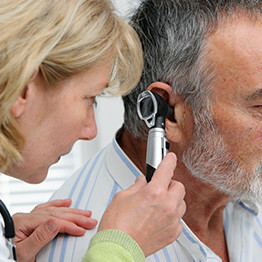 Complete hearing exams , balance assessments and hearing aid consultation and fitting are provided by Dr. Schroder. We understand that healthcare needs are specific to each individual and we strive to administer the best service and care to meet those individualized requirements. All of your ear, nose and throat care, allergy care, and audiology services are provided in one convenient location. Take your hearing health seriously! 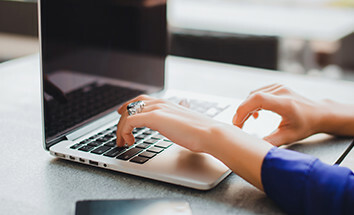 Complete our quick 5 minute hearing survey to access your hearing health needs today! 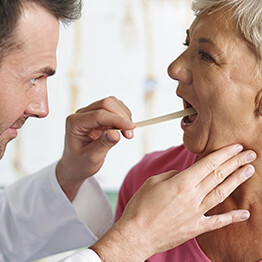 While not considered a serious health concern, laryngitis and swollen glands can be an early indicator for laryngeal cancer other serious health conditions. Dr. Stark will properly diagnose your situation and provide you with the best treatment and head and neck care. Tinnitus is a common patient complaint that is experienced by 10-15% of the adult population, which translates to about 50 million Americans. From 10 – 12 million of those seek medical help for tinnitus. If you or someone you love has tinnitus, our ear specialists can help bring some relief. We understand that healthcare needs are specific to each individual and we strive to administer the best service and care to meet those individualized requirements. All of your ear, nose and throat care, allergy care, and audiology services are provided in one convenient location.